NATO’s unresolved long-term issues won’t go away. But on its 70th anniversary event in the US capital, the trans-Atlantic alliance at least received the timely affirmation that broader Washington is behind it. There was the usual blunt criticism by the Trump administration, this time courtesy of Vice President Mike Pence, that European member states — specifically Germany — need to spend more on defense. There was the usual retort of European members — specifically Germany — that they have already begun to do so and will do continue to do so in the future. And there was the usual, if mostly unspoken, question about America’s continued engagement and support for NATO. In that sense, this week’s gathering of NATO foreign ministers in Washington marking the 70th anniversary of the alliance resembled previous meetings in the Trump era. Were it not for the invitation of NATO Secretary General Jens Stoltenberg to speak before a joint meeting of Congress, a first, and his remarks, which received strong bipartisan applause from US lawmakers, the alliance’s 70th anniversary would have been a bleak affair characterized mainly by the White House’s unrelenting bickering over money. 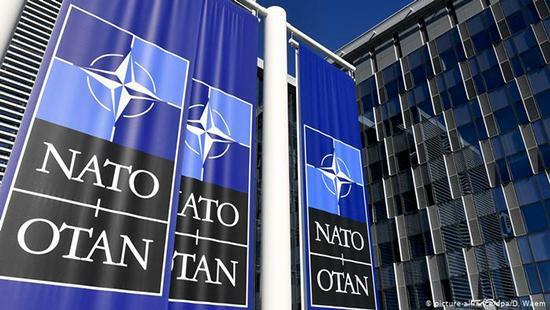 Instead, perhaps against the odds, the NATO gathering in Washington managed to end on a positive note, said Douglas Lute, the former US ambassador to NATO under President Barack Obama. While Vice President Mike Pence’s speech at the #NATOEngages conference echoed President Donald Trump in his strong criticism of Germany, Secretary of State Mike Pompeo, as the host, hit a softer tone and did not single out Germany in his public remarks. The minister’s working meeting during the 70th anniversary gathering was reportedly uneventful, which, given the current state of the affairs in the alliance, could arguably be called a success. “The reception of the secretary general’s address received in Congress demonstrated enduring strong bipartisan support for US participation in NATO and support for the alliance,” said Ali Wyne, a policy analyst with the Rand Corporation. Wyne added that notwithstanding the president’s rhetoric, his administration in actual practice, if not in its words, has been supportive of NATO as it increased its military footprint in Eastern Europe. That does not mean, however, that the lingering issues about increased burden sharing, the future role of Turkey and the long-term commitment of both the US and Europe to the alliance have been resolved or will go away anytime soon. But one could not reasonably expect to solve those concerns at this meeting. The bar for this 70th anniversary get-together in Washington was much lower, but still critically important during these challenging times for the alliance: to serve as reassurance for Europeans and as a reminder for the Americans. Still, the old unresolved questions about the future of the alliance will surely resurface again, as they should, said Wyne. Until they do, all parties involved might simply enjoy the brief respite provided by the 70th anniversary event in Washington. “I think it will have a short-term, temporary effect of assuaging concerns about US engagement and participation in NATO,” predicted Wyne.